Hokey Pokey Pirates, Now Available as an Audiobook from Dreaming Big Publications! 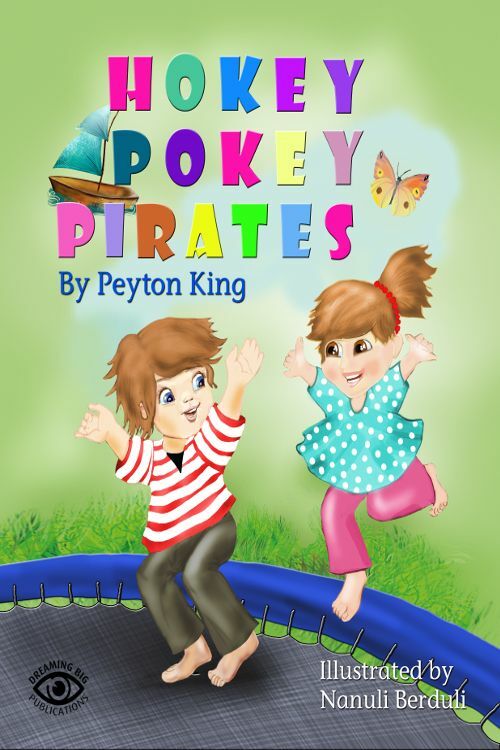 The paperback and ebook versions were released in 2015, but we are excited to announce Hokey Pokey Pirates by Peyton King is now available as an audiobook! HATTIESBURG, Miss. - Dec. 14, 2017 - PRLog -- About the book: Who would've thought that going outside to jump on the trampoline would lead to an exciting high seas adventure? That's exactly what happened to Charlie and Lexie when they went out to play while their mom was cooking supper.Hokey Pokey Pirates is a story written by a child for children, using her own bond with her brothers to teach the importance of family bonding time in an imaginative and fun way. This fantastic tale is now available as an audiobook for just $3.46, or for free with the start of an Audible free trial or $3.95 on iTunes. Just plug in your headphones and escape on a journey with Charlie and Lexie. Hokey Pokey Pirates is also available in paperback for $9.99 and as a digital book for $1.99. Please contact Kristi at dreamingbigpublications@outlook.com to request review copies or to receive exclusive author interviews, notice of new releases, and cover reveals. New Release! Hair Peace by Piers Anthony is now available from Dreaming Big Publications! New Release! Poet to the Poor: Poetry for the Bottom One Percent by John Kaniecki is now available! New Release! A Five-Year Journey by JD DeHart is now available! New Release! The Legend of Sassafras House by Anita Stafford is now available! New Release! The McKenzie Files by Barry Nelson is now available!